The United States is withdrawing from a treaty that lowered costs for Chinese companies to ship packages here, part of President Trump's efforts to punish China. 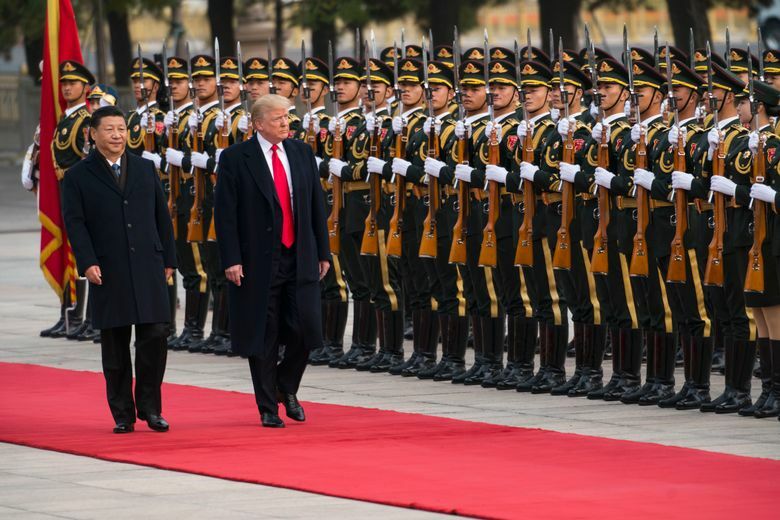 President Donald Trump plans to withdraw from a 144-year-old postal treaty that has allowed Chinese companies to ship small packages to the United States at a steeply discounted rate, undercutting U.S. competitors and flooding the market with cheap consumer goods. The Universal Postal Union treaty, first drafted in 1874, sets fees that national postal services charge to deliver mail and small parcels to countries around the world. Since 1969, poor and developing countries — including China — have been assessed lower rates than have wealthier countries in Europe and North America. The decision to withdraw was made at the urging of Peter Navarro, Trump’s hard-line trade adviser, who sees the move as a way to thwart China and an opportunity to challenge the authority of international groups, like the World Trade Organization, that, in his view, fail to give the United States voting powers commensurate with the country’s economic stature. Trump, who told “60 Minutes” last weekend that his biggest regret as president wasn’t quickly “terminating” the North American Free Trade Agreement after he took office, has also been eager to emphasize that he is tough on trade by pulling out of a treaty, even a relatively obscure one, according to people familiar with his thinking on the matter. State Department officials were to inform officials Wednesday at the Universal Postal Union in Bern, Switzerland, a U.N. branch that administers the treaty, of their intention to pull out of the system and “self-declare” new, higher rates on China, a U.S. official said. According to the union’s rules, members will have a year to renegotiate new terms before the withdrawal becomes permanent. The move will most likely inflame tensions with China, which the administration has accused of unfair trade practices and punished with tariffs on $250 billion worth of Chinese goods, investment restrictions and other measures. Administration officials are still weighing whether Trump will meet with China’s president, Xi Jinping, in Argentina next month. It is not clear whether China will retaliate if the United States pulls out of the treaty. Administration officials said they were assessing rates for other countries and had not made any decisions about whether the policy would extend beyond China. Trump does not need congressional approval to withdraw because the last version of the treaty was never put up to a vote, administration officials said. The pact has long been a source of frustration for presidents of both parties and prompted complaints from small businesses, big retailers like Amazon and shipping giants like UPS. The treaty was last modified in 2016 to raise some shipping costs on Chinese exports. But Navarro and Trump dismissed those changes as insufficient to deal with the explosion of online free shipping offers of goods from China. A 2015 report from the Inspector General of the U.S. Postal Service found that the treaty, which was created to ease the flow of mail and small parcels between 192 countries, had not been overhauled to reflect the new realities of e-commerce and China’s aggressive undercutting of international competitors. The price of shipping a 4.4-pound package, the largest parcel covered by the treaty, from China to the United States is about $5, according to U.S. estimates. U.S. companies can pay two to four times that amount to ship a similar package from Los Angeles to New York and much more for packages sent to China. It is not clear how much the disparity costs U.S. taxpayers and retailers, in part because the Postal Service does not release detailed country-by-country shipping breakdowns. A 2014 study, cited in a Postal Service analysis of the issue, estimated that discounted shipping cost industrialized nations as much as $2.1 billion a year in aggregate. The losses to retailers and manufacturers could be much more, as online commerce expands further. Industry groups, even ones that have questioned the president’s tariffs on Chinese imports, applauded the move as proportional and targeted. But the changes could have an even bigger impact on small retailers who have found themselves outgunned and undercut by Chinese competitors.